We are enlisted as top company involved in offering an extensive range of Electrical Panel Board Sticker. 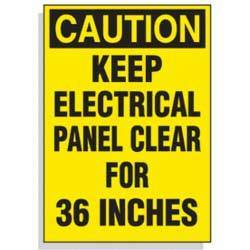 Offered Electrical Panel Board Sticker is available in various sizes, designs and patterns. These products are known for its fine adhesion property and suitable to meet the needs and demands of the industry. Owing to the rich industrial experience and expertise in this business, we are involved in providing Baby on Board Sticker. PHINEX ARTS & GRAPHICS is manufacturing a superior quality of Panel Board Stickers to our esteem patrons, which are used in various industries for security and branding purposes. Panel Board Stickers are available at most competitive prices. With charming embossed prints on superb quality material, the StickersBoards manufactured by us are highly demanded across India. Our team ensures that the Printed Stickers that we provide are designed in eye-catching patterns that leave a lasting impression on the mind.